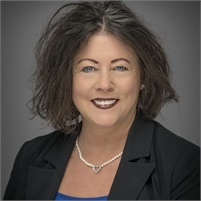 Debbie joined Ellenbecker Investment Group in November of 2018 as an Investment Operations Associate with 30 years of experience in the financial industry. Her primary role is to support Anne Mank, CFP®, CPA and Heather Deaton by providing extraordinary service to our valued clients. Debbie graduated from Palmer College of Chiropractic with a Chiropractic Technician degree. She started her career in finance in 1989 while living in Chicago where she worked for the chairman of the Chicago Board of Trade. She then moved back to Pewaukee where she continued her career with Stark Investments, Robert W. Baird and US Bancorp. Debbie successfully passed the FINRA Series 3 Commodities Futures. Debbie lives in Pewaukee with her husband, Jon, and has a son, Taylor, in college. She has a dog, two cats and enjoys spending time with family and friends, planning parties, volunteering and watching their son sail and play baseball.